Why bother Carrying Paper Currency?On most prepping websites you will often see people going on and on about the importance of stockpiling precious metals like gold and silver; while these metals might hold some long-term value in a post-collapse world, they provide little if any value during the lead up to the collapse. Think about it; are you really going to buy last minute supplies with a big hunk of gold or silver? But Cash holds no real value during a collapse…. I’ve heard the argument a thousand times, and while paper currency will definitely lose its value if the entire system collapses, in the lead up to the collapse it will still play an important role in your survival plans. Just look at what happened during the recent economic crisis in Greece. When the Greek economy started to implode, the public started panicking. These days most people don’t carry cash, so once the run on the banks started the government quickly shut down the banks and ordered strict limits on what a person could withdrawal from the ATM. In a matter of hours, the ATMs were wiped out; panicked people flooded the streets trying desperately to find an ATM that still had cash. Thousands upon thousands of people stood in line for hours to withdrawal a measly $60 — the limit placed on withdrawals. Why carrying cash is so important. During any type of crisis situation, whether it be a natural disaster that knocks out the power grid or an economic collapse that causes the government to shut down the banks, those who rely on electronic payments are going to quickly find themselves in serious trouble. 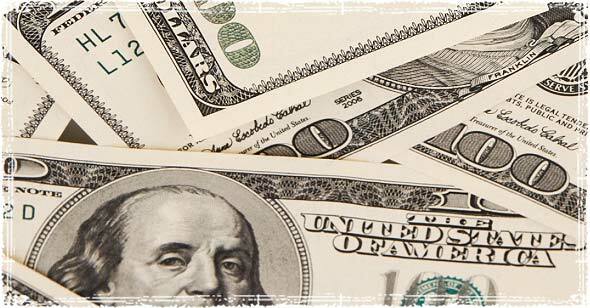 So why is paper currency essential to surviving a crisis? To buy your way out of bad situations! When Special Forces and government contractors deploy into dangerous areas, they often carry local currency with them as part of their emergency gear. The ability to bribe local officials or border crossing guards makes it an important survival tool for them to carry. Even during short-term natural disasters, electronic payments can be affected by things like power outages. The ability to be able to pay for last-minute supplies is something you shouldn’t overlook. While I hope most of the people reading this already have a good stockpile of emergency supplies in place, having cash on hand can help you buy anything that you may have overlooked. To aid your BUGOUT evacuation. There may come a time when you have to evacuate or quickly get the hell out of Dodge. During these bug out situations, having extra cash can help you pay for gas, hotel rooms, and campground space while you’re on your way out of town. During an extreme situation, where criminals are roaming the streets looking for easy targets, the ability to conceal your currency might become extremely important. 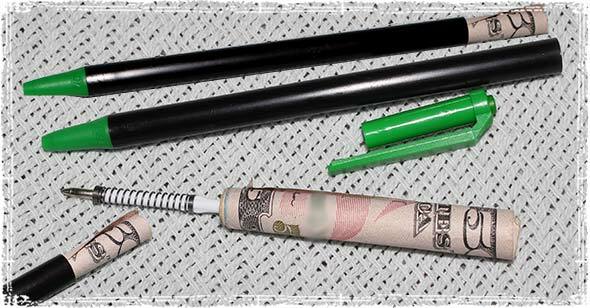 Here are some really cool ideas for hiding cash while you’re traveling out in public. 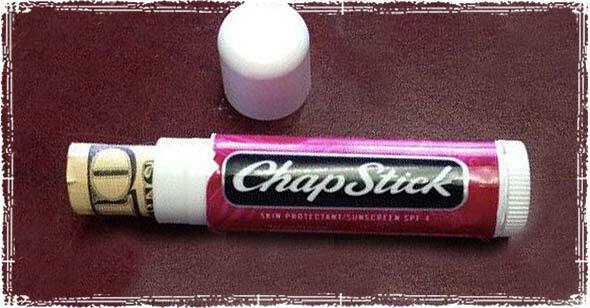 Remove the Chap Stick from its container, and you can easily fit a couple rolled up bill inside. 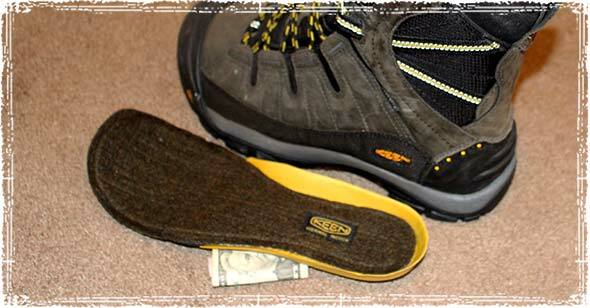 Just make sure to wrap the money in some plastic wrap to protect it from moisture inside your shoe. 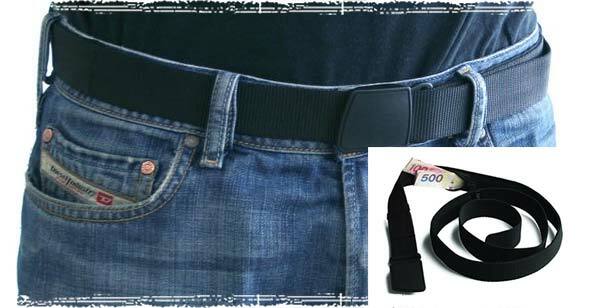 Pacsafe makes a really smart Travel belt that doubles as a hidden wallet. When traveling, carry a decoy wallet with a small amount of cash and then store the majority of your money safely hidden inside this belt. Should you be robbed, you can afford to lose the decoy wallet because most of your cash will be hidden safely inside the belt. 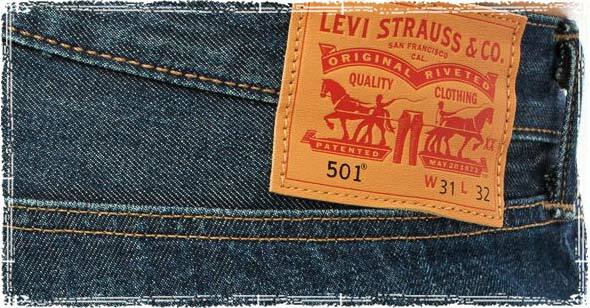 While this will take a bit of work, and is really only for extreme emergencies since it’s kind of a one time deal, sewing money beneath the tags in your clothing can be another sneaky way to hide cash. 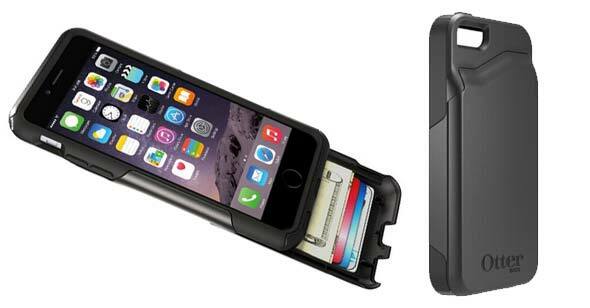 Otterbox makes a cellphone case that doubles as a hidden wallet. Their Commuter Wallet case has a hidden slide out compartment for carrying credit cards and cash. When I’m fishing in the backcountry, I usually keep my fishing license tucked inside my Tilley Hat. 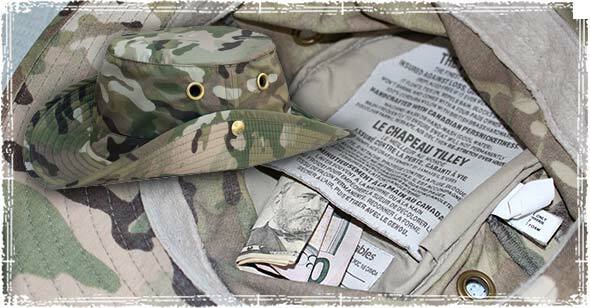 The hat has a hidden pocket for storing valuables and makes a great EDC hat. At the very least you should distribute your cash. Whenever possible, carry your money in multiple spots. If you are robbed, or someone tries to pick your pockets, you’ll hopefully have retained some of your emergency funds. Great Ideas man. I carry cash in my bugout bag but never even considered that I should probably divvy up the cash in other areas and hide it. I’ve actually been pickpocketed while traveling so I’m going to use some of these tactics next time I travel for work as well. Very nice tips! I’ll be adding a few of these to my list. During a recent trip to Europe, I’ve opted to ditch the traditional wallet and go with a front pocket wallet to minimize the risk. I haven’t gone back to the traditional wallet since. I was raised to do these things. My grandmother sewed money into the seams and hems of clothing. not paper. It is linen cloth. I’ve learned not to use large bills if I can avoid it.. I put twenties then tens, fives, and ones. Then I fold in half with the ones on the outside. Then I use the smallest denomination. when I find a large bill that I stashed away and forgot about. Is that called “money laundering”? I thought that was a federal offense…LOL! Seriously though – good idea to sew it into seams and hems, never would have thought of that. Also, when traveling on “road trips” via interstates and highways, DO NOT answer nor respond to ANY law enforcement officer’s questions about YOU carrying “large amounts of cash”. It is their way of “fishing” for “civil asset forfeiture seizure” excuses to take your money. You ARE guilty until proven innocent. The “amounts” that are and can be construed as “large amounts of cash” are subjective to the officer’s personal interpretation. Protect your Constitutional Rights, give NO consent ever to a search of your person, vehicle or belongings. If they officer HAS probable cause, they will not need your consent, and do not fall for the ruse of “what have you got to hide?” that is another tool for their fishing. Learn WHAT your rights actually are, and hot to interact positively with officers. Be smart, polite and keep your mouth shut.Identify yourself, beyond that, tell them they must have a warrant. Good tip…totally agree with that. While a cellphone case hides money efficiently, hiding cash in a valuable piece of electronics is probably a bad plan. I agree on that one… I definitely wouldn’t put the bulk of my money in there. I use a drop wallet to distract. I put ones and an old ID with those fake credit card things that come in the mail. Drop, run or fight. My only comment is that these are great ideas – up to a point. I mean now everyone that has read this post knows about these neat hiding places…and probably now all their friends know about them as well. They may be your friends now but will they still be friends in a disaster? My advice? Be creative in finding your own hiding places (notice I said places) and don’t tell anyone where or what they are. Hi there! I live in the EU(SSR). They want to abolish cash – so nobody will be able to pay cash. What to do then? Half empty medical lotion tube, cut off the end. Put money in plastic bag an then put it in tube. Roll end up and use some clip to keep it rolled. Would you stole somebody’s hemorrhoid lotion tube? Or money in plastic bag and put in shampoo botlle. I carry a spare £20 note in the back of my phone case, came in handy one time when I needed a taxi and had no wallet.